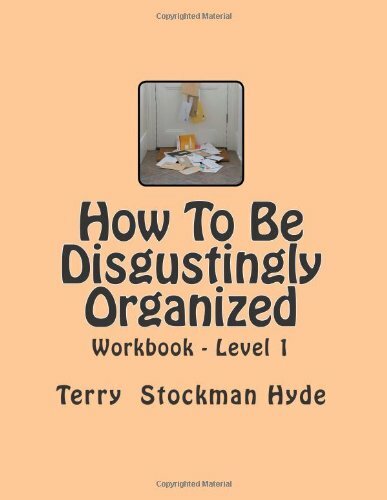 An easy to read workbook with step-by-step lesson in organization. Designed to walk you through a year of small steps and little changes that add up to less clutter in your life. For the person who has it all and doesn't know what to do with it! Terry Stockman Hyde has been a Professional Organizer since 2001. Her warm, personal style will guide you through steps to help you organize your world. Easy to read format with personal stories to illustrate key concepts and space to make notes. Perfect gift for someone who has it all and doesn't know what to do with it!